Memorial stone of Mary Karen Read on 4/16/08. Items left at the memorial plaque of Mary Read on the drillfield. Photo taken on 4-24-07. 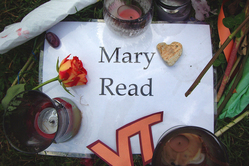 Items left at the memorial plaque of Mary Read on the drillfield. Photo taken on 4-27-07. 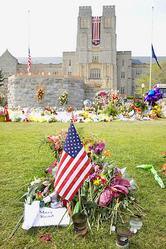 On a campus proud of its unity, the gunman&#39;s anger and detachment alarmed those around him.